You know you have to build your authority if you are ever going to establish your content (and so your site) as a mainstream resource. But standing out in your industry takes a lot of time, effort, and luck. Even applying all three to the problem, you can still struggle to make a name for yourself, due to the sheer number of competitive sources chomping at the bit. To build authority, you have to first create a foundation to build on. This is so much easier if you establish yourself in the beginning as an authority within your industry - which is exactly why you are seeing expert interviews popping up all over the web. These smart folks are taking advantage of the trend early, and taking part in interviews. It is the fastest way to show yourself as an authority. Why? Well, someone is asking your opinion, right? In fact, they are interested enough in what you have to say to hold an entire discussion to share with others. There is no reason they would do that unless they believed you had something worth listening to. That doesn't mean you will immediately be seen as an expert, of course. You still have to prove it. The interview is merely your platform to strut your stuff. If you manage to nail one interview, you can find others and continue to show that you know what you're talking about, and why it matters. 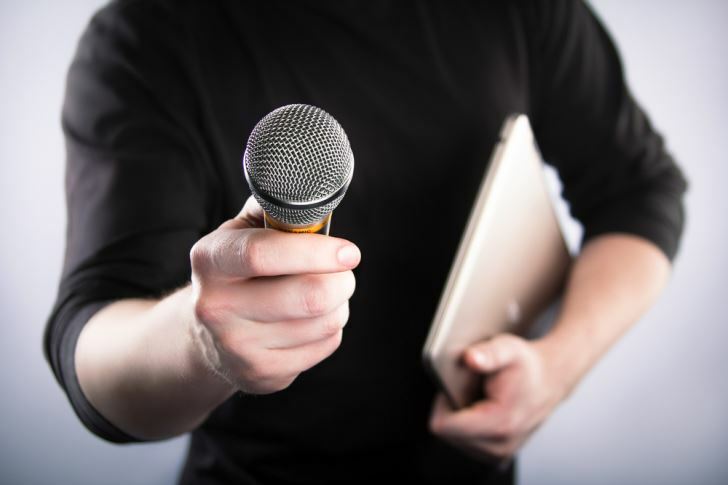 Group interviews are growing in popularity, and for good reason. If one expert is good, then a whole group of them must be better! At least, that is the mentality behind it. While it isn't any better or worst than a one-on-one interview, they are generally easier to become a part of. There are more slots, upping your chances of becoming a part of the group. Keep an eye out on blogs you read, and search social media. Many people will post that they are looking for interview subjects. This gives you an opening, and if you catch them right away you will do even better. You may want to set up an alert for relevant keywords to your industry, plus 'interview', so you get them the second they are posted. You can also post on your blog and social media accounts that you are looking for opportunities to share information about your niche. Ask if anyone is interested in conducting that interview, and you may just find yourself getting more requests than you can fulfill. Also check out MyBlogU for group interview chances. They have a feature that lets people take snippets from answered questions to make into a transcript. If you answer enough questions with valuable and helpful answers, you will be featured as an expert regularly around the web. Clearly communicate with the interviewer before hand. Have a topic you would like to cover? Something you want to avoid? A topic you don't know much about and would like them to be warned? Clearly inform them long before the interview, so they can prepare with that in mind. Most will take your requests and write their questions accordingly. It will help things go smoothly for both you and the person interviewing you. Find out how it will be conducted, and prepare. Will it be done through email questions? Skype? Phone? In person? Find out so you can make sure you have everything necessary before the day of the interview. Then check all equipment/details a few hours before. Any problems can be addressed that way without (hopefully) having to reschedule. Ask what questions they have planned. Not all interviewers will have an itinerary you can see. But some will be happy to send it before the interview so you can prepare more thorough and helpful answers. Don't promote too much. Any decent interviewer is going to introduce you and the project/site/business you ask them too in the beginning of the interview. So don't push the topic too much. If they ask you about it, you can expand. But otherwise, keep to the questions they ask, and don't try to shoehorn promotion in where it doesn't fit. This is a chance to advertise yourself, not a product. Be cheerful and pleasant. No one is going to want to interview you again if you aren't a pleasure to speak to. Many people will feel nervous and come off as short or unsociable. Introverts will have to fake it, and over time will find themselves becoming more comfortable with each interview they take part in. Taking part in interviews, whether one on one or a group, is a great way to start establishing yourself as an expert. From there, you can start building your authority. That means positive growth for your personal brand, increased traffic, and more effective content and engagement. Basically, you will improve all across the board. Do you have any stories of interviews, good or bad? Have you been finding interviews helpful in building your authority? We would love to hear about your experience, so let us know in the comments. Ann Smarty is the founder of MyBlogGuest, the free community connecting guest bloggers to blog owners and focusing on the high-quality approach to guest blogging.